The drill press comes in different styles and functions specifically designed for wood, metal or plastic. Though the types would vary in the area of fine points, the steps for proper maintenance are similar. A maintenance routine must be developed and sustained to keep it working at its highest performance standards. Neglecting to care for the machine could lead to rust-induced damages. Faults can also develop from continuous use of a worn-out and wobbly quill which will affect the chuck of the machine. Adequate safety measures and organized maintenance procedures when using the drilling machine can help avoid various problems. Below are step by step descriptions of what a thorough drill press maintenance checklist should be. The spindle – this ensuresn tight grip of the drill or cutting tools as it revolved in a particular position. It is usually vertical while the feed is laid out horizontally taking shape of the work table. The quill/sleeeve assembly – it is usually laid parallel to its axis. Pressure exerted on the sleeve manually or automatically makes it to be cut as it revolves. The chuck: this can be either keyed or keyless with three movable jaws on the end of the motor spindle to hold onto drill bits and screw tips. The head – this made up of the electric motor, the sleeve, the spindle as well as the feed mechanism. It is fitted to the column with bolts. The worktable – this has its support on an arm placed on top of the column. It can be tinkered with in order to accommodate varying heights of feed. 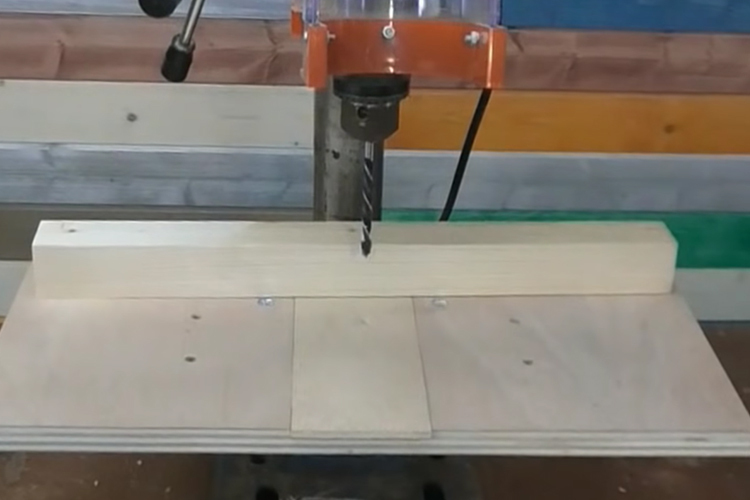 It can also be tilted for end-drilling or angle-drilling. The base – it supports the machine as a whole. It must be fixed to the floor with bolts in order to aid vibration-free activities when in use as well as work accuracy. Its top is just like the worktable and sometimes equipped with T-slots for raising large chunks of work. 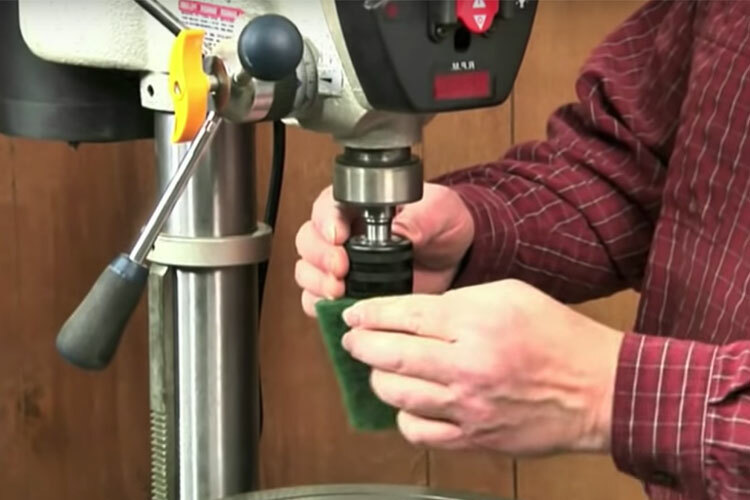 In addition to drilling precise holes, drill presses helps one to perform a variety of functions such as countersinking, boring, reaming amongst others. So, there are basic maintenance measures involved. Lubrication – because of heat and friction generated when machine parts move, lubrication is a routine requirement. The manufacturer’s manual must be followed for proper methods. Special Care – whenever machines are operated in extreme conditions or severe weather, special care is in order. Extreme heat may cause the motor to over heat. Extreme cold may cause the metal to become brittle. The right kind of oil must be used to avoid compromising machine quality in the long run. All of the ball bearings are packed with grease at the factory. They require no further lubrication. Lubricate the gear, rack, table elevation mechanism, the splines (grooves) in the spindle periodically. Make sure to remove chips in order to avoid damage to and hazards from the machine’s moving parts. Apply light coat of oil on all non-painted surfaces so as to prevent rust. Do not overworkn the elctric motor. Make sure to operate with care and precision. If there are no defects, check that the tension is right. Reset the tension if it is too tight or too loose. Strictly follow the manufacturer’s manual guidelines. In the case that the belt is slightly deflecting (about 1/4-inch to 3/8-inch), press the middle section between the pulleys. If it is too tight or loose, resetting the tension would would straighten it out. You can do this by following the owner’s manual or asking the help of a more experienced person. This is the component tried for speed adjustment. A good hand inspection should alert you to any imbalance in the drive belt. Usually, vibration or impreciseness are indications of a faulty belt. Unplug the machine, and open the lid that contains the pulleys. Here, you may find black dust: rubber particles that used to be part of the drive belt. To check for excess wear in the thickness and width of each belt, remove the belts and slowly run them between your thumb and forefinger. If you notice any irregularities get good quality replacement belts. You should also consider replacing your standard V-belts with link belts. Remove the quill from the machine, along with other parts that may be in the way of the cut. Cut a slit in the housing parallel to the axis of the quill. The cut allows the bore to “close” around the quill under pressure, taking up the excess play. Make two holes in the housing for an adjustment bolt to be added so as to keep a bit of pressure on the bore. If the multimeter doesn’t beep when you touch either one of the power switch connections you have a cut wire; if it beeps for both of the switch connections, then you have a short in your power cord; if the multimeter only beeps for one of the switch connections, you have a good circuit and need to continue your diagnosis. Now you can test the switch for continuity. Touch one of the probes to one of the incoming power connections on the switch. Now touch the other probe to one of the field wire terminals. Then, test the second field wire terminal. Repeat on second switch terminal. If you have continuity through the cord and switch, you will want to check the tool. Touch the multimeter probes to your tool or appliance’s field wires. If the multimeter beeps, then you have continuity. If the tool has continuity then you probably have a more complicated electrical problem that will require a more advanced diagnosis. Ensure that the workspace is neatly kept with the strictest safety procedures. This will help avoid the likelihood of accidents on persons and accidental damages of tools and feeds. Professional protective sprays and degreasers can be purchased from your local tools shop. Using such agents can improve the safety of your work environment while keeping it germ-free. Avoid a dangerous working environment. DO NOT use electrical tools in a damp environment. DO NOT use electrical tools in the presence of flammable substances. ALWAYS keep the work area clean, well lit, and organized. DO NOT work in an environment with floor surfaces that are slippery from debris, grease, and wax. Keep visitors and children away. DO NOT permit people to be in the immediate work area, especially when the electrical tool is operating. DO NOT FORCE THE TOOL to perform an operation for which it was not designed. It will do a safer and higher quality job by only performing operations for which the tool was intended. WEAR PROPER CLOTHING. DO NOT wear loose clothing, gloves, neckties, or jewelry. These items can get caught in the machine during operations and pull the operator into the moving parts. The user must wear a protective cover on their hair, if the hair is long. prevent it from contacting any moving parts. CHILDPROOF THE WORKSHOP AREA by removing switch keys, unplugging tools from the electrical receptacles, and using padlocks. Drill press mac is the equipment of choice when accuracy, precision and smoothness are aimed for in wood or metal work. The above preventive maintenance checklist and other care and procedures will help ensure that the user the drill avoids some common hiccups and increase the machine’s lifespan. It is always best to follow a machine according to the specifications of its make. While following general safety and precaution guidelines is advised, a careful look at the manufacturer’s manual is always in order.